Install & Download this application in your machine. 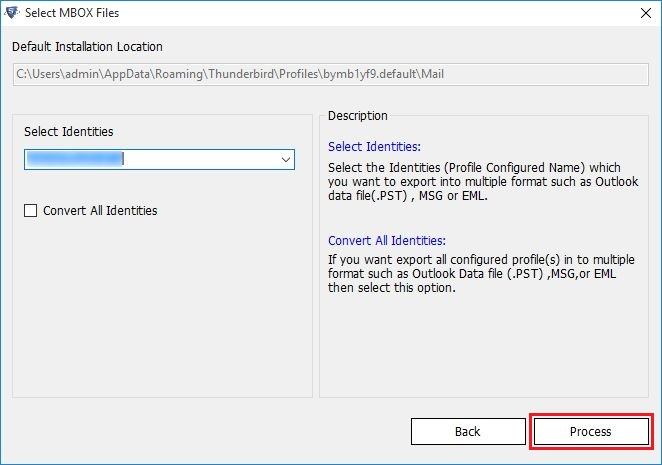 Select Email Application which is already installed. 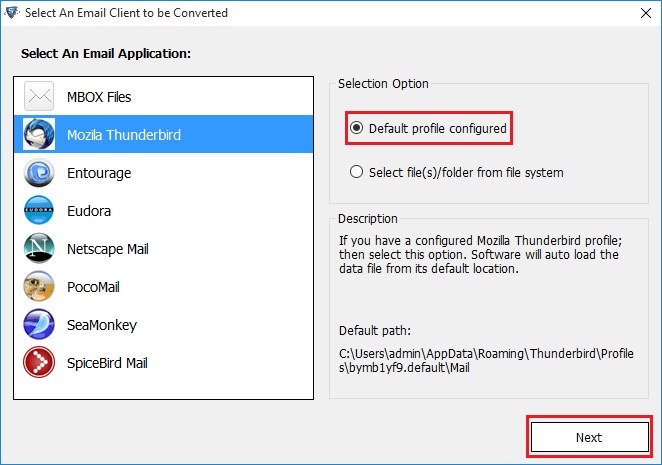 Select default profile configured & click on Next Button. 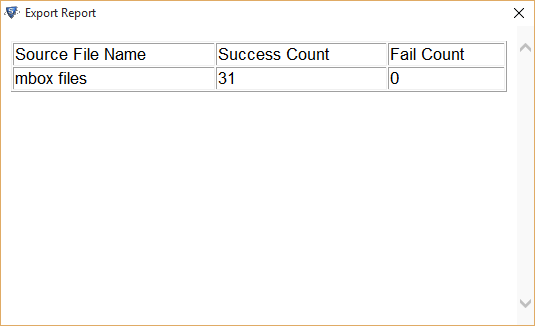 Click on Process button for further process. 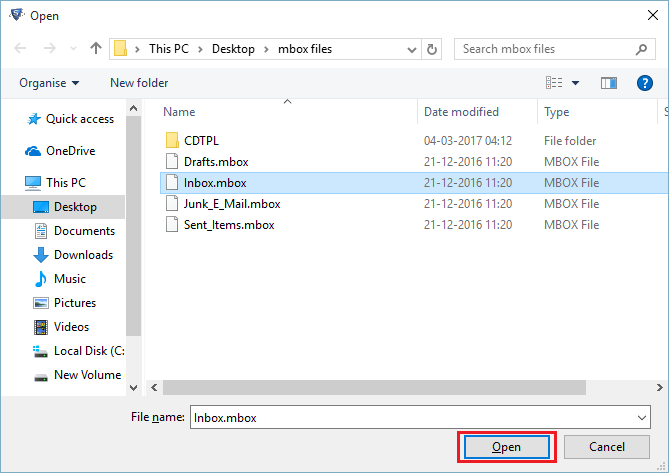 Now Select files/folder from file system and click on Next Button. 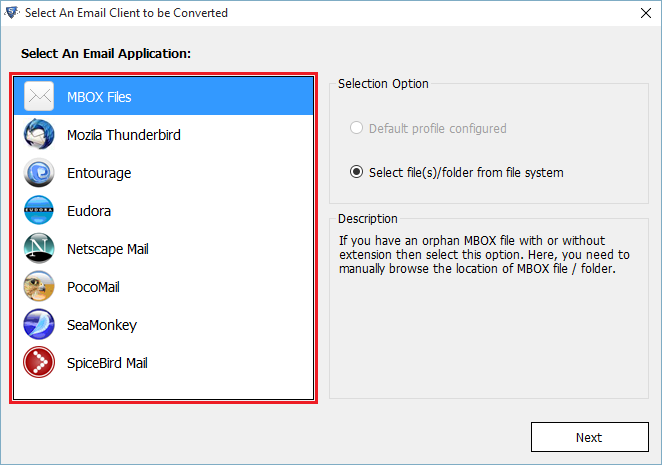 Browse the MBOX file for selecting the path. 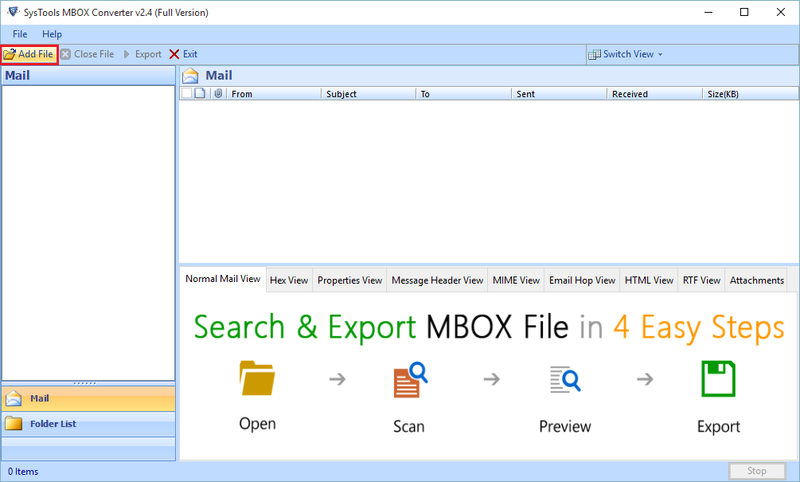 Select MBOX file and click on Open Button . 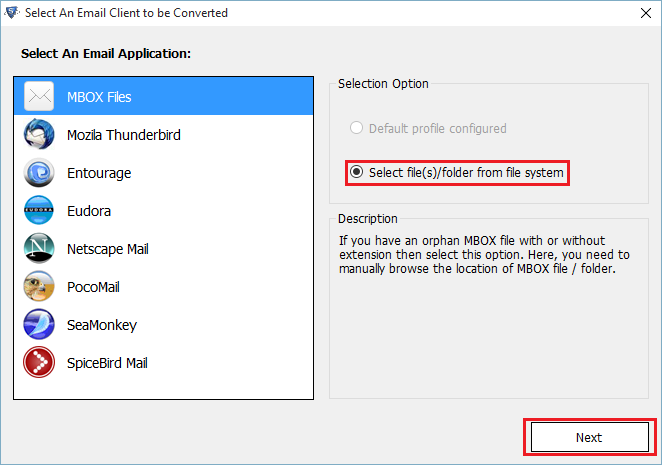 Select batch MBOX file at mode then click on Use folder Mode Oprion. 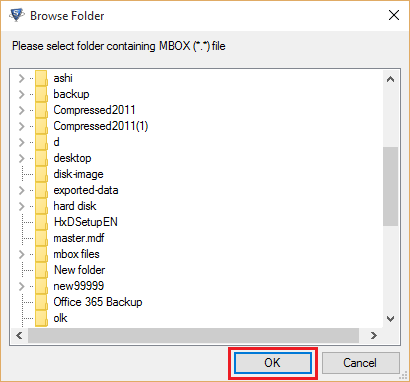 Select Folder to save MBOX file & click on OK button. 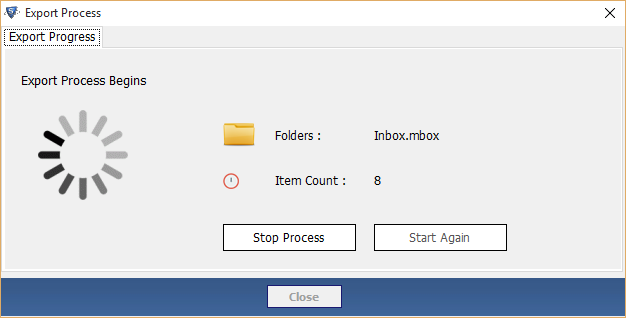 As the email load in the preview window you can stop the process by clicking on Stop Button. 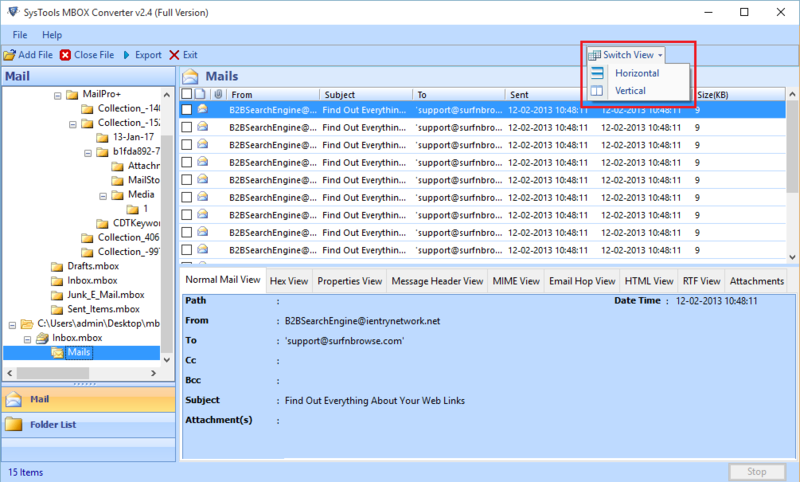 Now you can switch the mode of email by clicking on Horizontal and Vertical view. 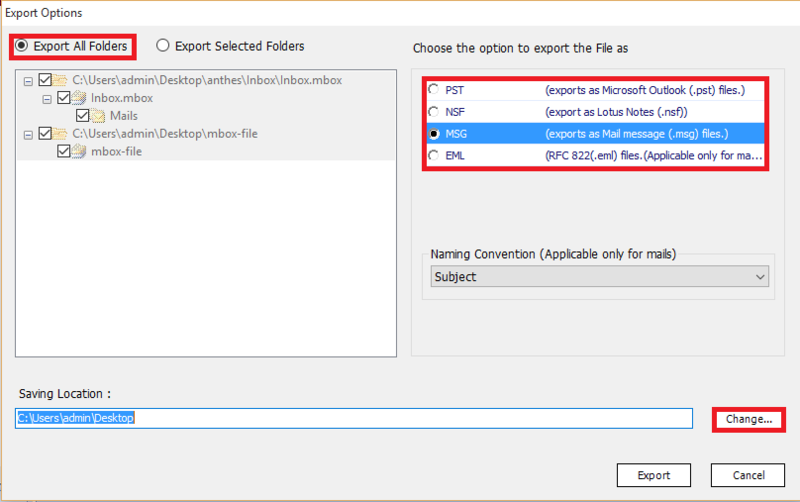 Select the Export All Folder Option then select the file type in which you want to export. You can also change the location by clicking on Change Button. 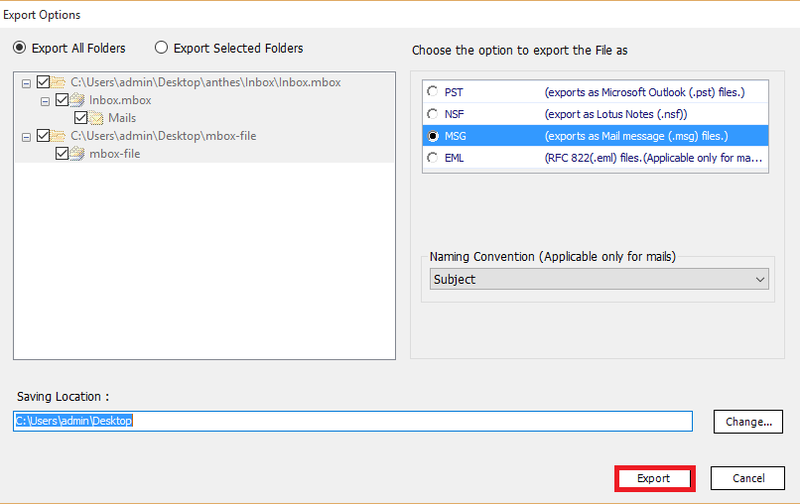 Click on Export Button to export MSG file. 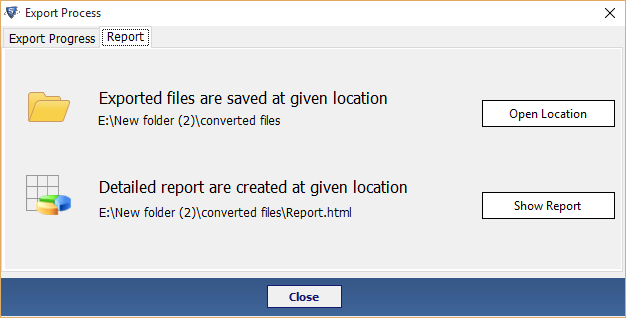 After the Export Process, Report will be generated. 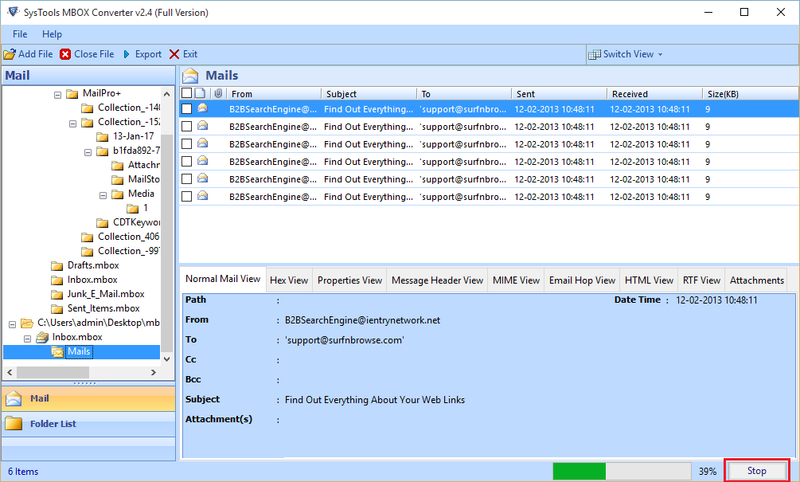 At the end you can directly view the Export Repport.